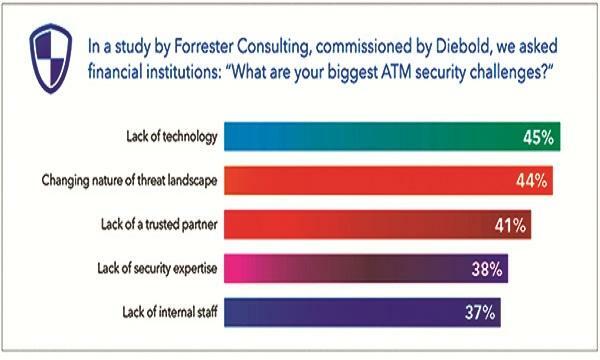 New Forrester research on ATM Security: How prepared are you? Find out what challenges retail banks are facing in managing the security of their ATM fleets, as well as security strategies and programs to overcome them. We’re pleased to share the results from a recent commissioned study conducted by Forrester Consulting on behalf of Diebold. The study explores the challenges retail banks and credit unions face when managing the security of their ATM fleets. Forrester conducted a global survey of 220 business and IT decision-makers with responsibility for the security and management of ATM fleets. Imagine that you are asked two questions. The first is probably easy – how many ATMs are in your fleet? Then the second question hits – what percentage of those devices can you say are overwhelmingly protected from security threats? In the face of today’s ever-evolving digital threat landscape and the ongoing attempts at physical breaches, protecting your business and its self-service channel is undoubtedly a complex challenge. Securing and protecting your ATM fleets is a function requiring a considerable amount of manpower, management and technology. 1. FIs lack confidence in their current ATM security. The FIs surveyed have between 100 and 499 ATMs operating regionally. Additionally, 21 to 30 percent of all in-house security efforts are tied to ATMs. There is no room for error when dealing with information security, physical security, card skimming, phishing, etc. 2. Managing security is a bigger task than internal teams can handle. 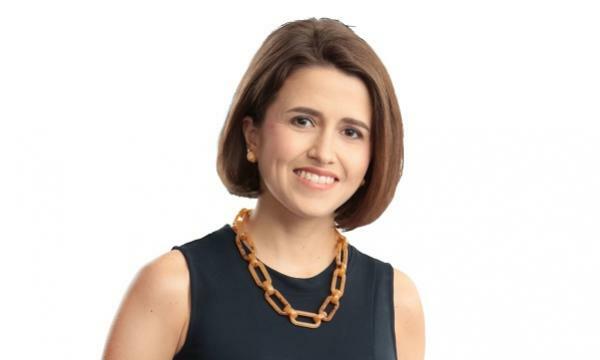 Most retail banks choose to manage security in-house, which leads to a need for greater internal resources and eventually, the internal management model is not sustainable. 3.Technology and resource issues create a whole other set of challenges. Not only are some in-house ATM management strategies unmanageable, FIs also have to keep up with changing ATM security needs and compliance requirements. These challenges are compounded when FIs use multiple ATM providers because of the separate sets of software and updates for the fleet. 4.Financial institutions consider partners for support – but are concerned about handing over control. As ATM networks grow and threats continue to evolve, it will only get harder for internal security teams to handle the onslaught of complex challenges and attacks alone. Forrester recommends that FIs consider a managed services partner to properly – and proactively – secure their ATM fleets. In fact, Forrester reveals that financial institutions who have outsourced their ATM fleet management to a trusted provider with the right expertise, structure and processes see improved security as a result. Outsourcing was also found to reduce costs, mitigate future risks and find new ways to eliminate breaches. Furthermore, the study reveals a gap between the perceived benefits of outsourcing and the actual benefits of outsourcing. FIs anticipate improved reliability and customer availability, when in reality, they’re most satisfied with the enhanced security and faster breach mitigation. So ask yourself: do you still want to shoulder the responsibility of ATM security, or would you like to focus on your organization’s core competencies and partner with a trusted expert who can help design a strategy that’s right for your unique needs? In addition, you’ll find an Infographic, On-Demand Presentation and a roundtable Q&A discussion covering common ATM security questions.